Dr. Gerard Chiche, DDS - Prosthodontist Department at Louisiana State University School of Dentistry. Dr. Gerard J. Chiche is the Chairman of the Prosthodontics Department at Louisiana State University School of Dentistry. He has given numerous programs nationally and internationally and holds membership in the American College of Dentists, the American Academy of Esthetic Dentistry and the American Academy of Fixed Prosthodontics. 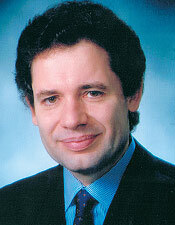 Dr. Chiche is consultant with Noritake Co. and serves as adjunct faculty at the Pankey Institute. He is the recipient of the 2003 LSU Alumni Award and the recipient of the 2003 Educational Community Achievement Award from the Seattle Study Club for best dental educator of the year. Dr. Chiche is a world-renowned expert in esthetic dentistry and smile design with a distinctly European flair.